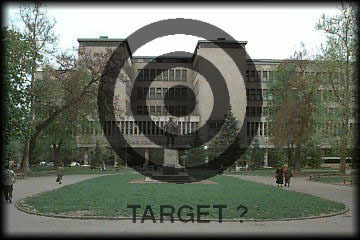 Because of the brutal aggression on Yugoslavia, the University of Belgrade and Faculty of Mathematics are not working. Faculty issued an appeal to the mathematical society of the world. Reactions of our colleagues can be found here. You can send your reactions, too. Please, note that this server may be frequently unavailable due to the power outages. Web administrators: Computer Laboratory - Faculty of Mathematics Last changes 13.4.1999.